Force fields are common in lots of science fiction, but how realistic are they? That’s the question I tackle in the latest Science of Starcraft post. Head on over and check it out! It looks sort of complicated, but the important thing to know is, four hydrogen atoms get turned into one helium atom, and in the process a LOT of energy is released. All the energy being released in the center of the sun has to go somewhere, and it goes into heating up the center of the sun. 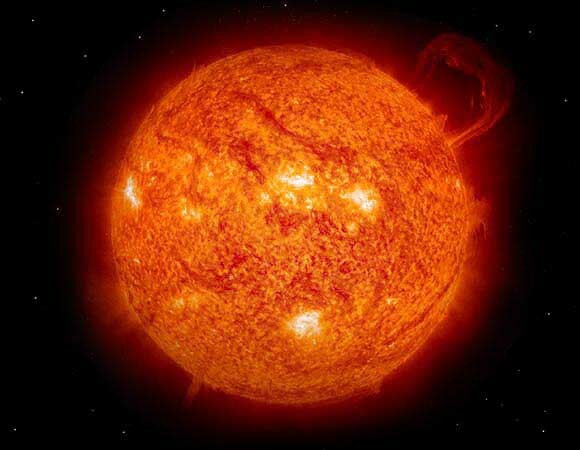 The center of the sun is 15 million degrees Kelvin (that’s 27,000,000 Fahrenheit!!)! The bright parts in the center of the granules is hot gas rising, the dark edges are the cool gas sinking back down. This layer of the sun (with all the granules) that you can see is called the photosphere. It has an average temperature of about 5800 K. Most people think of the photosphere as the “surface” of the sun. Above the photosphere is a thin layer called the chromosphere. You normally can’t see this layer because the photosphere below it is much brighter, but sometimes when the moon passes in from of the sun and blocks most of the light (a solar eclipse), you can see the chromosphere glowing red. (Never look directly at the sun, even during an eclipse!!) 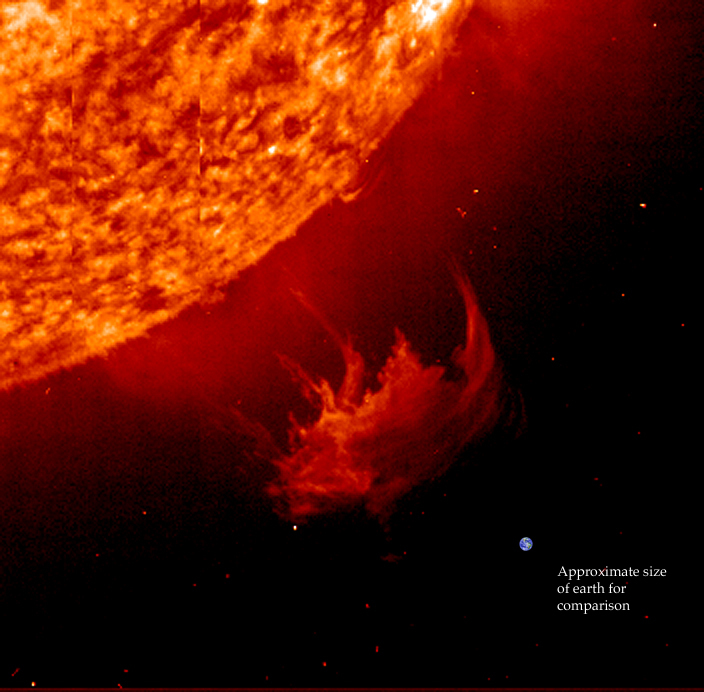 The chromosphere is hotter than the photosphere, at around 7000K. At this temperature, hydrogen glows red, giving the chromosphere its color. 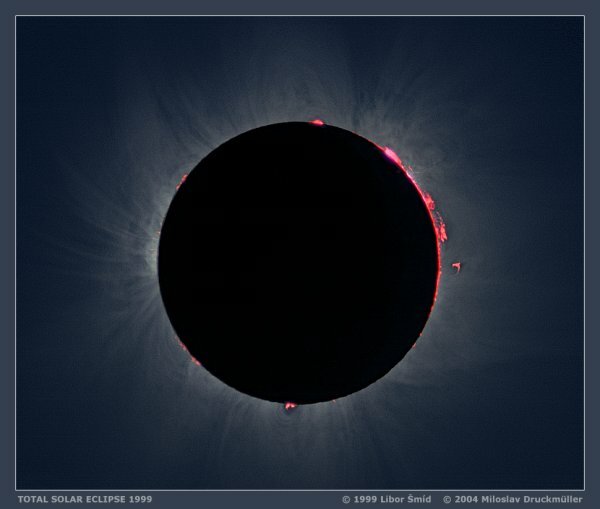 Above the chromosphere is a wispy layer that extends off into space called the corona. The corona is really hot (more than a million degrees!) but not very dense. It is made of gas and bits of atoms that are getting blown off the sun. These particles are called the solar wind. When they hit the earth’s atmosphere, they make the very highest layers of air glow, causing the northern and southern lights (also called aurora). Telescopes have shown that Jupiter and Saturn also have aurora, so the solar wind keeps going a very long way. Spots and Loops and Flares, Oh My! The powerful magnetic fields on the sun force the plasma to follow them, and make beautiful glowing loops that extend into the corona. The loops can grow to be extremely large. When they are seen in front of the photosphere, they are called filaments, when they are seen at the edge of ths sun in front of space they are called prominences. 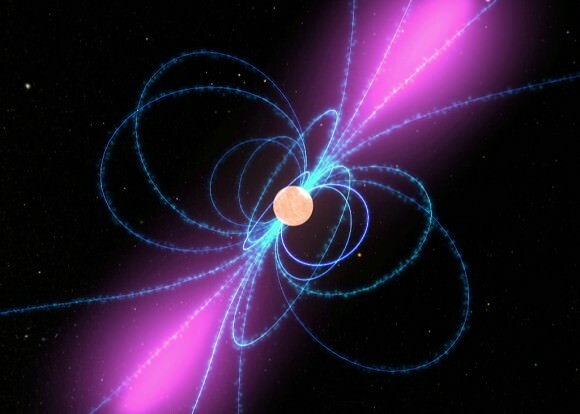 These loops contain a lot of energy stored in the magnetic fields. Sometimes the filaments “let go” and plasma goes flying either away from the sun, or is attracted to other magnetic fields on the sun. Check this out! 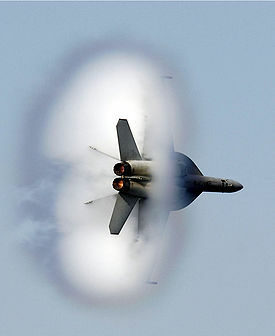 A blob of gas goes flying off and hits some loops, making them shake back and forth. Sometimes, when the loops get crossed or twisted, a huge amount of energy is released in what is called a flare. During a flare, a patch of the sun heats up VERY quickly because of all the energy released. Sometimes this causes huge clouds of hot gas to go flying off the sun. These clouds of gas are called Coronal Mass Ejections, and can be enormous! Check out the next picture, with a picture of the earth added for scale. Mars is often touted as the “most earth-like” planet, but if you take a look at its surface there are some aspects that are decidedly alien. Sure, there are dry river beds and canyons and volcanoes. But there are also craters. Everywhere. So many that, when Mariner 9 sent back the first spacecraft images of Mars, people were dismayed to see a surface that looked just like the moon! Is Mars just astronomically unlucky? Nah, we get hit with just as much stuff as Mars does, only Mars is old. More specifically, its surface is old. The planet itself is about the same age as earth. However because Mars is smaller, it cooled faster and that means that it is much less geologically active. All of this is because earth’s crust slides around as plates “floating” atop layer of softer rock. The plates pull apart in places like the middle of the Atlantic, and new crust is formed as the hot rock from underneath is extruded upward. The plates crash together in places like the Himalayas and western South America, forming huge mountain ranges as the crust buckles and folds. Plate tectonics is a tremendously important process on the Earth. It recycles our crust, processes the rocks, and even moderates our atmosphere. There are some scientists who think that plate tectonics may be a requirement for a planet with thriving life! What observations can we make here? The northern hemisphere is lower and smoother. There is a giant canyon and giant volcanoes! There are lots of craters! Also note what mars lacks. There are no long linear mountain ranges and no mid-ocean-ridges. There is not a really sharp distinction between “low” and “high” like there is on the Earth. It just sort of slopes gradually from the southern highlands to the northern lowlands. All of this is because Mars lacks plate tectonics. Its crust is, as far as we can tell, one big slab of rock. 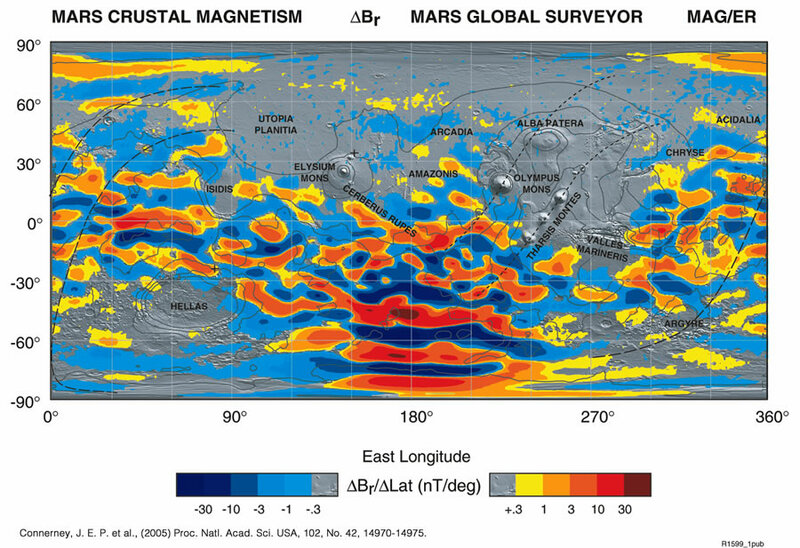 The only hint that there was ever plate tectonics on Mars comes from its magnetic field, shown below. Red on this map is magnetic “north” and blue is magnetic “south”. Clearly astronauts can leave their compasses at home. Notice that the magnetic field forms stripes. 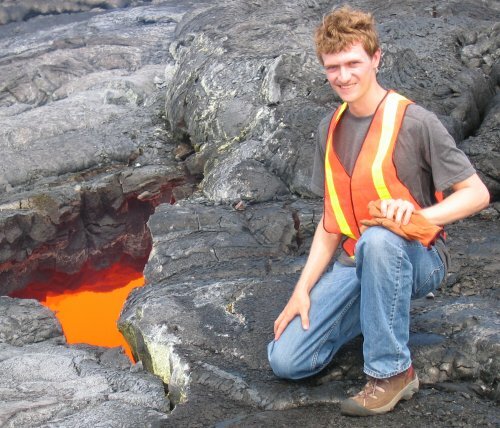 On earth this happens at a very much smaller scale at the mid-ocean ridges: as the magma wells up between the spreading plates, it freezes and traps the current magnetic field of the planet. As the magnetic pole switches (which it does occasionally) the changes get trapped in the rocks. 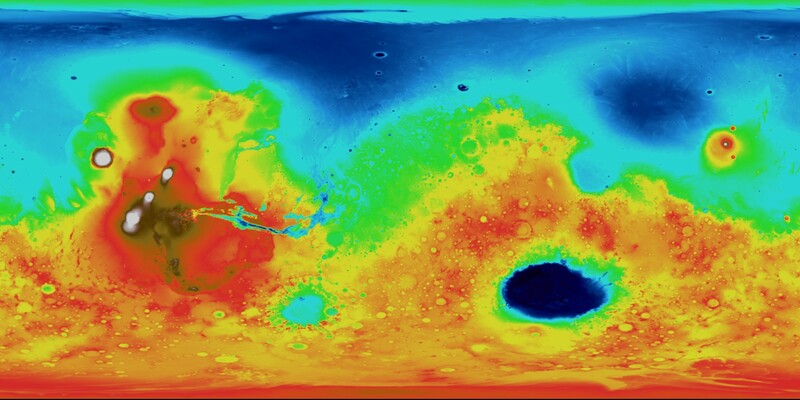 Some scientists have looked at the map of Mars’s magnetic field and said “aha! stripes! there must have been plate tectonics!” I’m a bit skeptical of that though. Where are the spreading centers and mountain ranges you would expect? It’s possible that the magnetic field we’re seeing is the remnant of such ancient plate tectonics that there are no surface features left, but I don’t think we can definitively say “yes, Mars had active plate tectonics. It is interesting to note that the presence of water in the crust and mantle seem to make plate tectonics much easier to maintain. It turns out that water makes rocks melt at lower temperatures, effectively “lubricating” the undersides of the plates on earth. 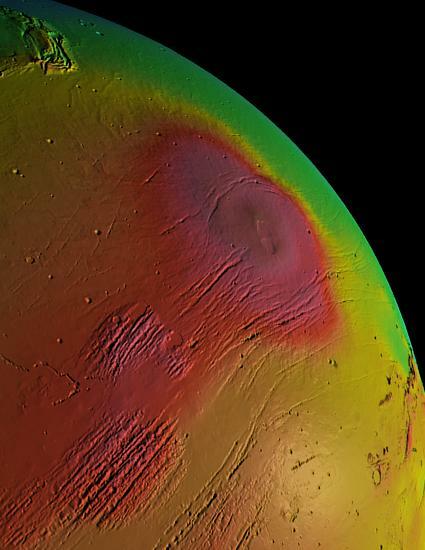 Could Mars have lost its plate tectonics because it lost it’s water? Maybe, but nobody really knows for sure. An even closer look shows that there are places on Mars where the surface is pretty much all faults! 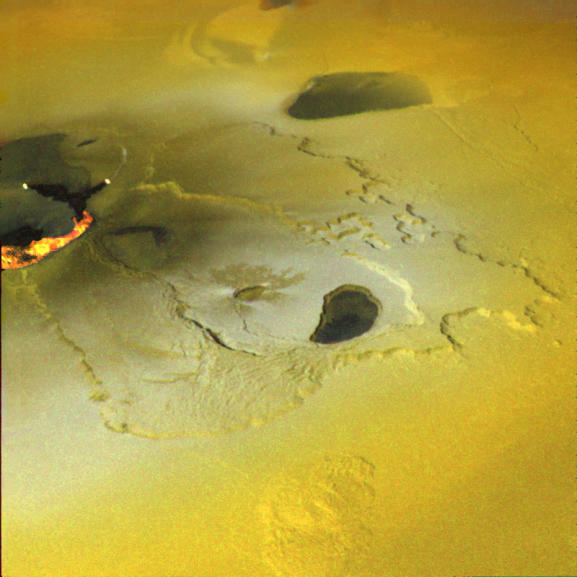 For example, check out this view of the volcano Alba Patera, north of the main Tharsis rise. It is shot through with cracks! Mars may have had plate tectonics, but if it did, all evidence was erased except for the magnetic stripes preserved in the ancient southern crust. 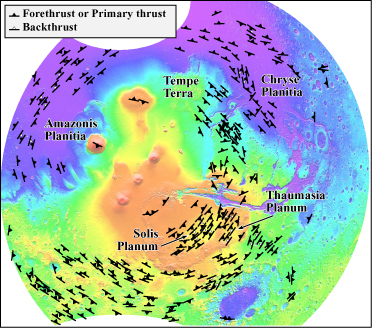 Mars did have lots of other tectonics though. All over the planet there are cracks and faults indicating that once, long ago, the surface quaked and split. We don’t know how active Mars is today. Someday, we may send a lander, or even better a network of landers, carrying seismometers that could listen to the tremors of the red planet’s crust and tell us what is going on deep inside. Until then all we can do is look at the surface, trace the faults and imagine what must have caused them, billions of years ago. Today was the final day of the DPS meeting here at Cornell, but the sessions were still very interesting. They served to remind me just how little we know about the outer solar system. Also, remember you can go and watch all the sessions yourself! I believe the plan is to transfer all the videos to a more permanent location soon, so I will keep you posted. The first few talks I saw today were about Jupiter’s large Galilean satellites. One talk confronted the mystery of Ganymede’s magnetic field, but found that it is still pretty confusing. It has been known for a long time that there is not enough heat for thermal convection (i.e. hot stuff floats, cool stuff sinks) to be the power source for the magnetic field, so they considered some other possibilities such as convection due to changes in composition or some past tidale event injecting a bunch of new heat into the moon but neither scenario really worked. A second talk looked at “pit craters” on Mars and Ganymede. Pit craters are craters with a pit at the center, either in the floor or in the central peak. They are only found on icy or potentially icy bodies but nobody is sure exactly how they form. One theory is that the pits form when the central peak collapses because the icy ground in which the crater forms is too weak. But then you have to ask why all craters on icy satellites aren’t pit craters and why some craters have a pit but no peak. Another possibility that has been suggested for Mars is that melted rock interacting with subsurface ice could form collapse pits, but that wouldn’t explain why there are pits on icy moons. A third possibility is that the craters are puncturing through into some subsurface liquid layer, but the craters are not localized it is hard to imagine a global layer. The fourth possibility, and the one that the speaker though was most likely, is that vaporization of ice during the crater’s formation causes the pit to form. But what are the details of that process, and why aren’t all craters in the icy solar system pit craters? So far, nobody knows. 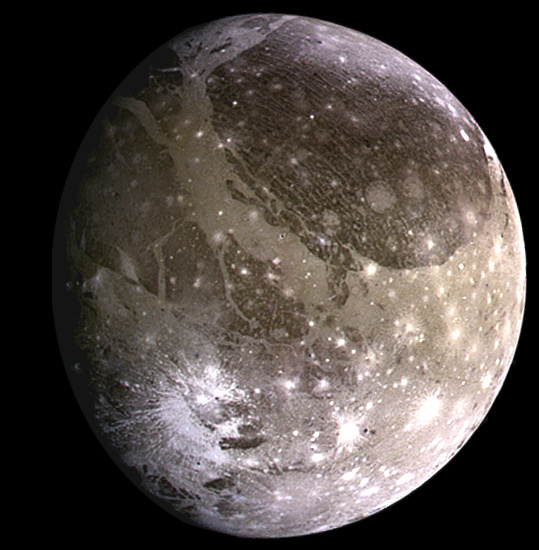 Ok, so Ganymede is icy and is pretty confusing, but it’s got nothing on Io when it comes to awesomeness. I saw a very interesting talk about ground-based observations of Io attmpting to measure the activity of one of the larger volcanoes, Loki. They used infrared telescopes and observed Io when it was in Jupiter’s shadow so that all the signal was from the warmpth of the lava. By very carefully studying the way that Io’s brighness changed over a period of months, they were able to estimate how much energy was being released by Loki, and also suggested that the variations in brightness are consistent with a lava lake that occasionally overturns, exposing fresh, hot lava to space! Awesome! Io’s volcanoes spew particles into space, which get caught in Jupiter’s magnetic field and do all sorts of fun things. 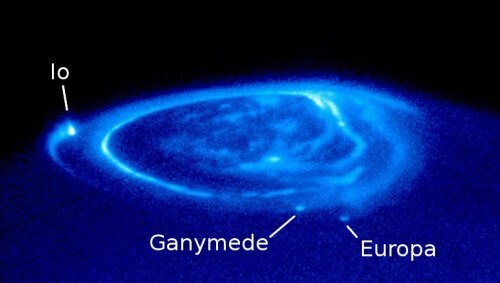 There is even a tube of plasma that connects Io to Jupiter’s north and south poles. With the right telescope, you can see where the plasma hits Jupiter’s atmosphere because it causes a bright spot in Jupiter’s aurora that follows Io around as it orbits. Nick Schneider presented new evidence that there is a new plume of plasma coming from Io and pointed directly at Jupiter. The thing is, nobody knows why there’s this extra plume! This means that scientists have been missing some key physics in how Io interacts with Jupiter’s magnetic field! Moving out to Saturn’s icy moons, there were several interesting talks about Iapetus, Saturn’s thoroughly bizarre moon. It has a ring of mountains around its equator as high as Mt. Everest. Half of it is as black as coal, the other half is bright white like snow. It orbits more than three and a half million kilometers from Saturn in a tilted orbit, and yet it is tidally locked so that one side always faces Saturn. It’s probably my favorite atmosphereless object in the solar system other than Enceladus because it is just so strange. One of the talks today may have solved one of these problems! They suggested a two-step process to explain the strange black and white appearance of the moon. 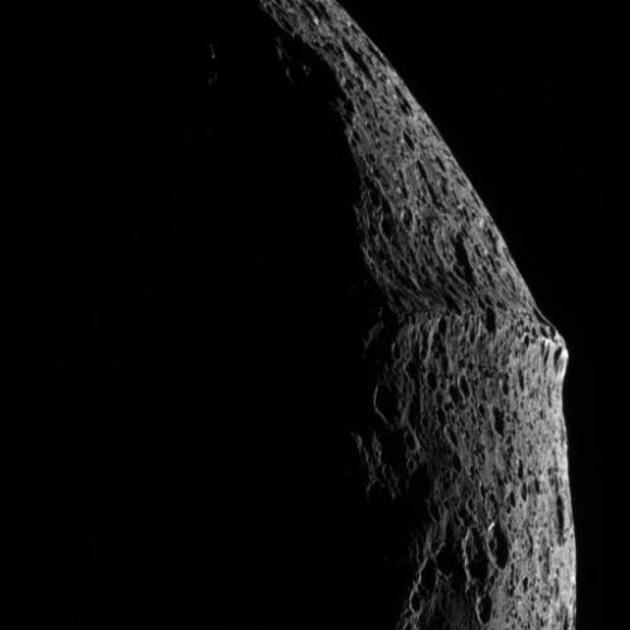 First, dust from the numerous retrograde-orbiting small moons collects on the leading hemisphere of Iapetus, tinting it slightly reddish. Once that hemisphere became dark, it tended to heat up more in sunlight, which would drive off ice and leave behind the dust. This would lead to a runaway process as the dirty spots darken and therefore heat up more, drive off more ice and get even darker. It’s a pretty interesting theory! Still, I wonder why other Saturnian moons aren’t affected to the same extent. A second talk about Iapetus presented evidence from the magnetometer on Cassini that Iapetus is deflecting the magnetic field of the solar wind! They showed that the sort of deflection observed is not what you would expect from an inert ball of ice and rock. It also doesn’t match what you would expect for a moon that is outgassing into space. The only way to get the observed deflection would be if Iapetus had a magnetic field, or if it had a layer of conducting fluid inside! Neither one of these seems very likely, so this is a real mystery! 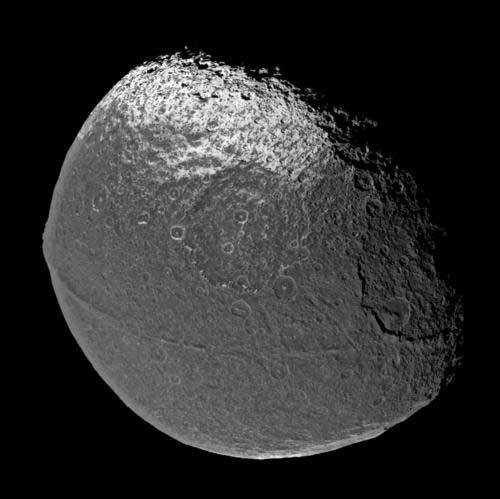 Yet another reason that Iapetus is fascinating. What shape is the solar system? A cool bit of news from beyond Mars this week: Voyager 2 has relayed new info on the shape of the solar system! New data from the spacecraft, published yesterday in Nature, indicates that Voyager 2 passed through the termination shock in the heliosphere back in August/September of last year. 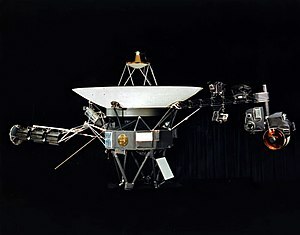 Without the jargon, that means that Voyager 2 reached the location where the solar wind goes from super-sonic to sub-sonic, which creates a shock wave (like the ones that form when jets go super-sonic). 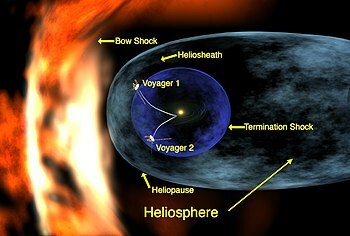 The interesting part of this news is that Voyager 2, traveling through the southern hemisphere of the heliosphere, measured the termination shock at about 87 AU (13 billion kilometers or 8 billion miles) from the Sun, which is about 10% less than Voyager 1 measured in December 2004 while traveling through the northern hemisphere. This means that the solar system is lopsided – at least as defined by the extent of the solar wind. So why is the heliosphere lopsided? The authors suggest that this might be due to the fact that the magnetic field of the interstellar medium is oriented 60 degrees away from the flow of the interstellar medium, which is in the plane of the galaxy. Because the magnetic field is twisted, it puts more pressure on the southern boundary of the heliopause than on the northern boundary, causing the whole heliosphere to bulge to the north. If this edge of the solar system stuff intrigues you, check out the Pioneer Anomaly @ the Planetary Society, and in Wikipedia. Comments: Comments Off on What shape is the solar system?